At Hitachi NEXT 2018, I engaged in many conversations about making digital transformation more approachable, real and successful. Why is that so important? Because digital transformation is no longer a choice, but a necessity. Today, data changes the way the world works, advancing business and even society itself. To realize success in the global economy, you need to understand and use your data for optimal value. At Hitachi NEXT 2018, leaders in data-driven innovation who want to spearhead transformation in their industry saw what’s next for their data in IT, operational technology and the internet of things. Insights gleaned from the conference can be used immediately to transform your business and prepare for tomorrow. 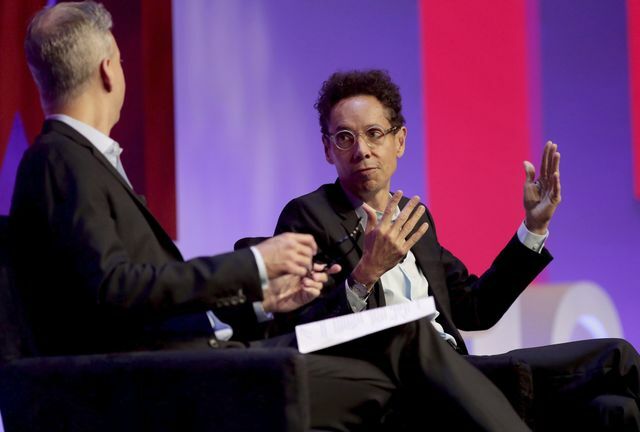 Keynote presenter, Malcolm Gladwell, author of five New York Times best-sellers, is one of the 100 most influential people according to TIME magazine and one of Foreign Policy magazine’s Top Global Thinkers. In his books, he often explores the unexpected implications of research in the social sciences and makes extended use of academic work. He has explored decision-making, how ideas spread and the roots of success. When Malcom spoke to this digital and data wave upon companies today, he articulated two points that resonated with me. First was be patient. The second was don’t over react. Citing examples of how the music industry went through its darkest hours before subscription services took hold was great example. He also spoke to ATM’ not fully taking hold until 1997 when the technology and efficiency of this model was clearly understood well before. His point was this: Markets typically respond slower than we expect. As companies that are acting as a catalyst for this transformation, keep a steady hand and the revenues and success will come. Gladwell holds to the principle that 10,000 hours of “deliberate practice” are necessary to become world-class in any field. Hitachi has far exceeded that goal and provides expertise in managing organizational change, improving effectiveness and re-equipping the workforce for new ways of working. The art of being at the very pinnacle of your profession or sport always starts with a mastery of the fundamentals. For years I kept this moniker on my signature line in my emails. World-class starts with excellence at the basic levels --with repetition and consistency. This is what 10,000 hours of practice develops for the individual or corporation. This is lost on many. When Hitachi Consulting engages, it’s this mastery of the fundamentals that allows us to take companies to the next level. It is what I expect of my team, and what our customers should expect of us. We are delivering excellence because we have mastered the fundamentals and only then are you able to do transformational work. Perhaps most importantly, Gladwell made it clear that digital transformation shouldn’t be a fearful process. Yes, some companies have struggled, but those that embrace digital transformation can bring real benefits to their workforce and their bottom line. The good news is that Hitachi can make this transformation less stressful by helping you manage the journey. Hitachi helps drive organizational effectiveness with innovative, customer-centric solutions that produce proven results –backed by a solid partner ecosystem of world-class technology leaders. We help you transform your business, your organization and our society with targeted business outcomes.